Ingrediants Wandu kapuru (Cinnamomum capparu-coronde), Turpentine, White oil and etc. 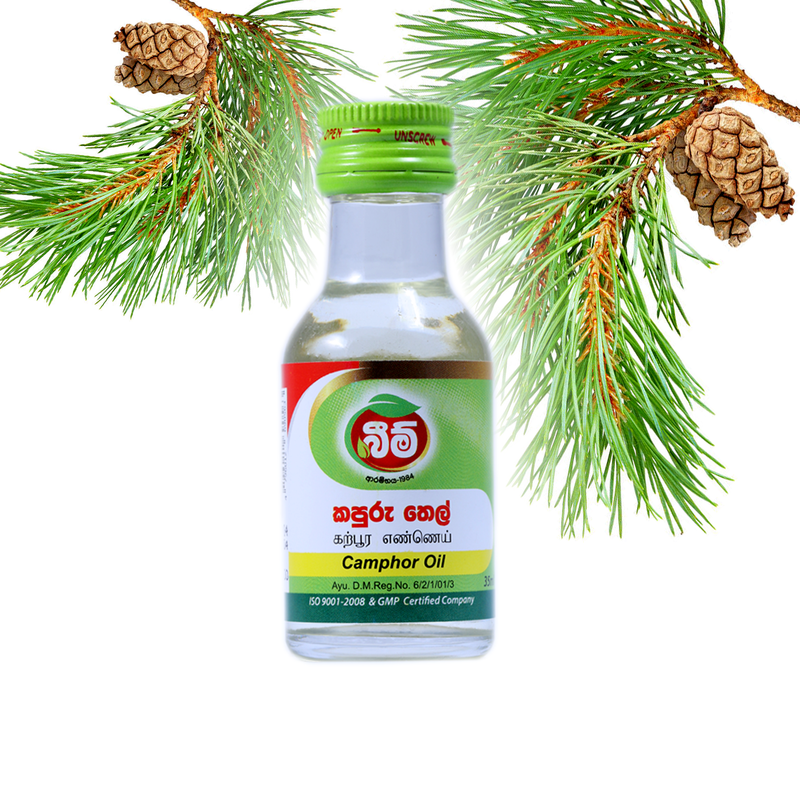 Therapeutic Effects Excellent remedy for nasal congestion of adults and children, relives breathing difficulties and cures phlegmatic condition due to throat muscular disorders. Proven remedy for joint pains and sprains. Usage As and when required. අඩංගු ද්‍රව්‍ය: වන්ඩුකපුරු, ටර්පන්ටයින්, වයිට් ඔයියිල් යනආදිය…. ගුණ: කුඩා දරුවන්ගේ සහ වැඩිහිටියන්ගේ නාස්පුඩු හිරවීම, පපුව තදවීම, උගුරේ සහ මාංශපේෂිවල ආබාධ සඳහා ගණදායකයි. © 2016 Beam Hela Osu Lanka (Private) Limited.